One of the Decorah eagles enjoys a squirrel on Christmas morning. I am glad to see it after a day's absence. It struck me, as I was going through the dailies, that the eagles must be very warm. The first pic below was taken yesterday, after the last snowstorm. The second was taken today, after the eagle had eaten as much squirrel as it cared to. 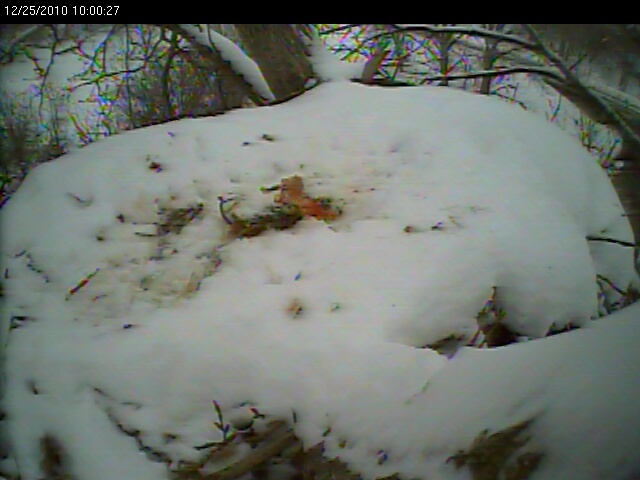 The eagle melted a lot of snow while it ate the squirrel - more than I would have thought. The Fort St. Vrain eagles in Colorado are also busy working on their nest. 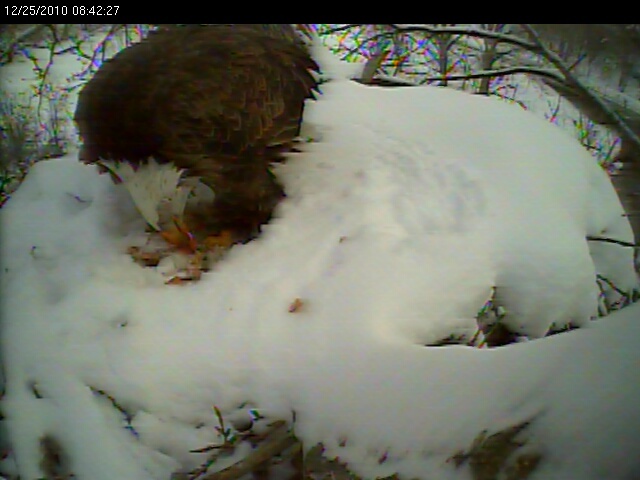 They aren't dealing with the snow and ice that the Decorah eagles are. 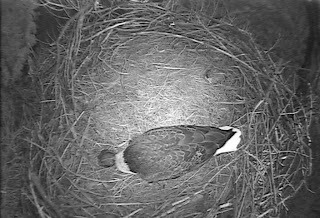 In fact, the shot below makes it look like the eagles are back to eating turtles again - that round object looks somewhat like a turtle plastron to me. 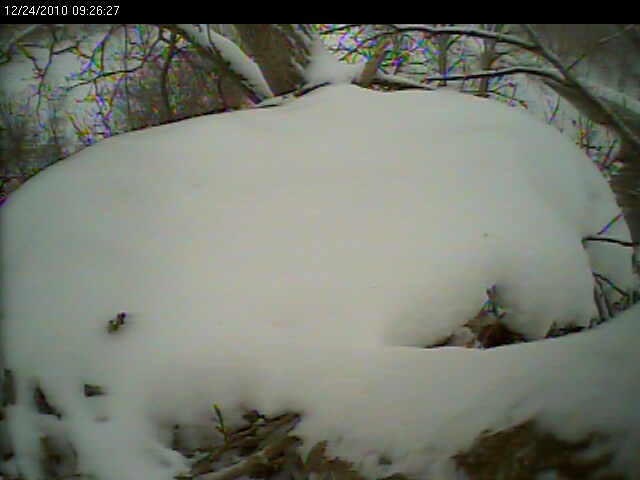 The FSV eagles ate a lot of turtles the year before last. However, given the time of year, I don't know whether or not turtles would be available to them. This is a night time shot, captured via IR.